Offering you a complete choice of services which include ducting - sheet metal works, nitrile rubber insulation, terminal box and air handling unit. Sheet Metal Work Ducting fabricated 180 GSM , Galvanised steel Sheet (GI) Ducting class VIII with M.S. 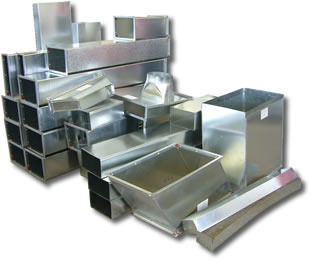 flanges, turning vanes, with proper duct sealing etc with silicon free duct Sealant, complete with supports, all as per specification; performance of ducting shall comply in general, with all currently applicable standards, codes, regulations and safety measures as applicable in the locality where it is to be installed. Nitrile rubber used for supply & return duct is 13mm. It is fixed to the clean surface of the duct with adhesive SR 505 tightly & the joints are sealed with nitrile rubber tape so that there will be no chances for condensation & also it is not intended to reflect hazards presented by this or any other material under actual fire conditions. Air handling units (AHUs) are used to supply and circulate air around a building, or to extract stale air as part of a building’s heating, ventilating and air conditioning (HVAC) system. 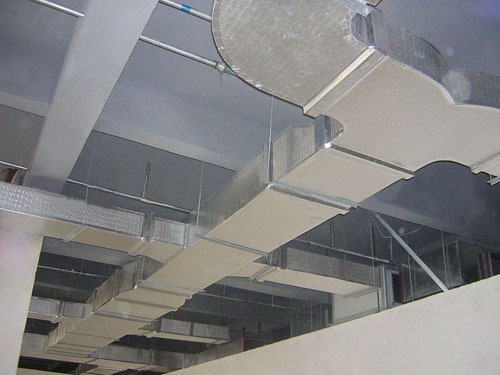 Essentially, an Air Handling Unit system comprises a large insulated metal box that contains a fan, heating and/or cooling elements, filters, sound attenuators and dampers. 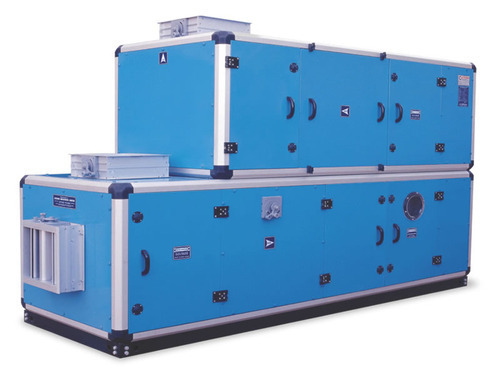 In most cases, the AHU is connected to air distribution ductwork; alternatively, the AHU can be open to the space it serves. Supply air passing through the AHU is filtered and is either heated or cooled, depending on specified duty and the ambient weather conditions. 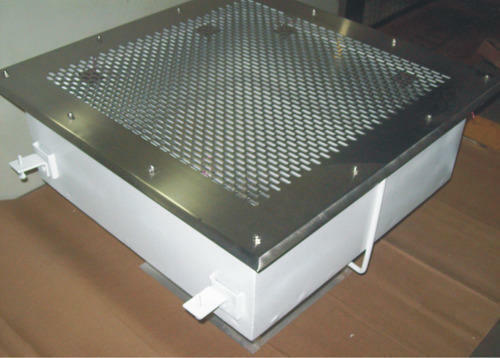 In some buildings, Air Handling Units are used only to supply fresh air for ventilation and extract stale air.